HATTATT: Up, Up and Away! Once we built a tower. Or perhaps, to be absolutely accurate, we had a tower built. Not of course on the scale of Eiffel, nor with the renowned lean of Pisa, and not, as in Babel, in any metaphorical sense. No, our Tower, capitalised for it became known simply as that, was constructed four square to close a principal vista within our Herefordshire garden. 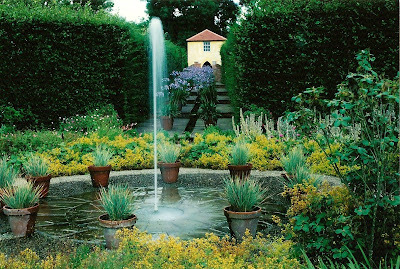 Some years earlier we had made a rill, a narrow channel of water extending for some 50 metres at the centre of a broad walk of York stone, flanked on each side with tall hedges of yew, Taxus baccata, and culminating in a single jet of water. But something was missing. A column, topped with a blackened urn of marble, failed to provide the focus for the eye that the position demanded. And so the idea of The Tower was born. Later we painted it yellow to complement the deep blue of the Agapanthus Headbourne Hybrid which, in terracotta pots, lined the rill. After that the fun, for such it was, began. Summer dinner parties, from which guests stumbled back to the distant house in the black of the late night, clutching candles to light the way, became the order of the day. In winter we sat in the upstairs room before a stove, constant in its propensity to smoke, and told 'sad stories of the death of kings'. Or some such thing. But, to refer to an earlier post, it is Montaigne who has prompted all of this for his tower, to which he retreated to reflect on life, served to remind us, all these years later, of our own. Today The Tower stands forlorn, or so we are told, its once open arches boarded up, its window blank, the rill to which it owed its being, demolished, the stone carted away and sold; the fountain is silent for the entire garden is no more. And what a salutary lesson this is, this Ozymandias of endings where 'The lone and level sands stretch far away'. Periodically, perhaps, we may return to the subject of our garden. "Periodically, perhaps, we may return to the subject of our garden." Please do. I'm sure there are loads of great stories begging to be told. With such a charming invitation, we may! It's sometimes difficult to understand how something you spent such loving time creating can be left to the clutches of time and the careless disregard of others. But, it is so often only the memories that remain which matter. Holding something in our thought as we recall it makes it as true as it ever was. I look forward to hearing more about your garden. Dear Jane and Lance, thankyou for sharing a lovely memory of time and place, tarnished only by its present state. A delightful description of summer dinner parties, in a garden in which, obviously, great consideration was taken. I love the Tower's gothic doorways and its mediterranean mien, and I love the sheer whimsy of choosing to build a folly when something prosaic would've filled the space quite adequately. Bravo! You are right, memories are the most important thing to hold on to, as material things must inevitably fade and die. We always feel that gardens belong to their owners at the time and, when the owners go then all must change. You are so right, Faisal, in that we are never to be found choosing the obvious or simplest solution to a problem. Opt for the quirky, the outrageous or just the downright obscure, that's us!! Hello! I know there are more than many stories there and all your followers are enormously curious. How could something so lovely pass into the hands of the insensitive? great stories. and even more greater pictures, wonderful garden scenes! :) have a grea day, my friends! Thank you so much for your kind comment. And, we hope that you are having a good week too. I love this image. It is very present with me. I love the overall lyricism and subtle sense of saudade which permeates this post. You are a pair of both contradiction and perfectly reconciled polar energies-- both a touch eccentric and unpredictable and people of impeccable taste and decorum. Even without the personality test data you do seem to be able to sum us up! You are always so very generous and disarmingly perceptive with your comments and we feel that our lives are all the richer for 'meeting' you. Perhaps real life may bring us together one day and what fun that would be! How sad that so many beautiful things of the past are left to the ravages of time. Oh yes, your followers want more stories of your gardens. Thank you for your beautiful, interesting posts; I always look forward to them. Perhaps one of the lessons to be learnt in life is that nothing stays the same for very long, and even nothing lasts for ever. Your very kind and generous comment is much appreciated; we too look forward to your posts. The tower looks to have been very much a work of art. What a pity that it is now subject to neglect. Given my love of "spiky" plants, you won't be surprised to hear that I also like agapanthus! I hope you'll post many more times of your old garden. Not so much a garden more a botanical masterpiece, I would say! We have over the years come to accept that the garden is no more -the present owners bulldozed the entire two acres to grow vines!! The Agapanthus did exceptionally well in their pots, which we overwintered under glass, but were never very happy in the heavy clay of the open ground. I love your tower. The colour you painted it was perfect. How wonderful that you have a lovely book of photos to remind you of your garden. At least for you it still exists. I am hoping for more stories. I am enchanted! Are there several Arrow Cottage Gardens in Herefprdshire? I am almost certain that I have visited one and purchased herbs. I also think that I have seen photographs of Arrow Cottage Gardens? Do put me out of my misery, but the name rings several bells very loudly, all at once. One clearly points me in the direction of a garden not far from Titley and The Stagg - where we frequently go to eat a very splendid meal. If you ever come back to this neighbourhood, book a table. I am sorry you no longer have your beautifully designed garden; do you not garden at all now? In fact we actually chose the yellow at the time to remind us of Hungary where many buildings are painted a not dissimilar colour. But you are so right for we still have a record of the garden in pictures, and it remains forever in our minds. Oh my, dear Jane and Lance, I must say this left me very moved and enormously grateful to you both for having shared a little more of your fascinating story. What is it to construct a life? How the solid things brush up against the dreams, the realities as opposed to the possibilities whether it be material, tangible or spiritual. Sending you a nod of bravery, if I may (it sounds so wrong typed like that but I hope you will know that it comes from the heart). And such great wishes from a far. Cultivating a garden is one of the most peaceful and rewarding occupations, if you have the opportunity to do it. They say that, in order to grow a decent garden, you need about two decades. I don't have the opportunity to test that theory, so, what do you say? No, just the one Arrow Cottage a mile or so outside of Weobley. How splendid that you might possibly have bought some herbs from us - we do hope that they survived! You may well have seen photographs of the garden which appeared in numerous books and magazines and was featured on television on several occasions. The Stagg at Titley was, indeed, a favourite haunt of ours as well. Steve Reynolds certainly knew how to cook! I love that you worked at the aesthetic for such a long time...i can see that every potted plant is exactly in the correct position to the others. Some might call that obsessive compulsive ( my son often accuses me of this...) ...i call that having a good eye for detail and beauty....can't wait to see more of this marvelous garden.....some party shots would be fun too! We rather feel that life has somewhat constructed us rather than the other way around. Dreaming up ideas,acting without too much thinking and, generally 'going for it' [whatever it may be] has certainly given us plenty of challenge, heartache and, heaps of fun. And, dearest Heather, although we may at present be just virtual friends, knowing you has enriched our lives still further. Creating a garden really does test all the emotions. First, we found it to be extremely hard work but also incredibly creative. We do believe it to be an Art form. And yes, so much time to plan, plant, wait, wait, wait and then reappraise and begin again. Two lifetimes is barely sufficient! Your garden must have been wonderful in its heyday, Jane and Lance. That's the sad thing about leaving a garden - one never knows what will happen to it. Yes, we prefer to call it attention to detail too. Nowadays it is the furniture which has its correct position, but it is certainly easier to move the sofas and chairs around when we want a change than it was moving whole borders of plants [which we did on more than one occasion]. Thank you for your kind remarks about the garden. We shall have to consider what can be revealed to the world about the parties!! It is true that one cannot know or direct the future in most things, including gardens and, perhaps, it is better not to know how things will turn out. When we were making the garden, we always felt that the satisfaction was in the journey rather than the arriving and, of course, no-one and nothing can take that away. We trust that your mother might have felt this way too. Thank you so much for your most kind and generous comment. We also love to visit gardens on Open Days as there are always new ideas to glean from them. I really hope you do return to the subject of your garden, I love nosing around other people's gardens and yours seems particularly glorious. I went off Michel de Montaigne when I read him, in his essay 'On Friendship', say: women don't have the capacity for real, deep friendship. Idiot, I thought. I like his tower, though, and maybe once he'd spent some time ruminating there he realised the error of his assumptions. Dear Jane and Lance - I can imagine how magical those dinner parties were, and perhaps in another dimension they still go on. The combination of Mediterranean, Hungarian and Gothic is very pleasing. I've found it true of memory that we don't remember days so much as moments, and I'm sure the magic of the Tower was in so many wonderful moments. We are so pleased that you have enjoyed this first glimpse of the garden. No doubt, we shall return. Indeed, your quotation from Montaigne does seem rather wide of the mark regarding friendship, and, as you say, one can only hope that enlightenment was reached in his tower. Since his concept of friendship as 'one soul within two bodies' is so lovely that surely it must apply to men and women alike. Having done a quick but satisfying google search I am satisfied you two know more than enough gardens to not only create enchantment in your own but offer advice to others. So when I post bits and bobs of mine, please be kind. We are thrilled to think that we may have been, even in a small way, responsible for encouraging a sense of adventure in gardening. We do hope that your own blog will be on the airwaves soon so that we can enjoy seeing your own garden. The dinner parties under the Tower were indeed huge fun, although running the gauntlet of a soaking in the Rill was always a possibility. We like to think that the garden was an eclectic mix of influences and ideas but always within a traditional, formal structure. The sure beauty of your former garden is complemented by your graceful acceptance of its transience. Mind you, I wish I'd been at those dinner parties. As the only Hattatts in Britain, we cannot hide very successfully! The magic of gardening is that it offers a vehicle for expressing personal ideas in as many different ways as the individuals who create them. There is no one or correct way, that is what makes it endlessly fascinating. We find it very liberating to accept the transient nature of things since everything has its season whether it be gardens, houses, friends, relationships and all manner of other things. Looking forward and accepting change has, we have found, proved to be endlessly interesting and stimulating. If we had known you at the time of the Tower dinner parties, then you would have most certainly been invited! Thank you for your helpfully advice in your latest comment on my post, about my problem with my fig trees and the fruit that drop when it´s still young. Perhaps I have give my figs to much water before. I have try to take care of them in a better way this year, and the fruit is still standing. Thank´s again, have a nice day. Oh, I'm imagining your lovely garden and tower. What fun times you must have enjoyed there. Oh, I love the idea of a tower in the garden. My husband will think I have flipped my lid if I mention it though, we have so much other work to do before we can get to that point. Thank you for sharing your memory and photos of the tower. What fun it would be to attend a dinner party in such a unique setting. It is so sad that your beautiful garden is not being enjoyed in the way that it once was. I am sorry that I never got the opportunity to visit. I do hope you will share more photographs, and more happy memories of your time spent there, in future posts. What an evocative post...like many of your readers, I wish I had been at one of your dinner parties! This definitely a post rich in memory and nostalgia which is absolutely charming! A tower ! How romantic! It is a fine tower and perfectly placed. Never ever go back to see a garden you have constructed or put a lot of effort into. I recently had to counsel an upset friend who heard about what had happened to his garden after he moved house. You made it for yourself and for your and your friends' pleasure. It served its purpose. Move on. Lance and Jane, what a warm, personal, joyous account of your beautiful tower. Oh to have been a bee in the agapanthus, or the wax dripping from those candles, would have allowed for some great eavesdropping. I just started reading, on your recommendation, "When I'm playing with my cat, how do I know he is not playing with me" and I can't wait to get back to it. Our farm in Ireland has a Martello Tower which still stands. It was a magical place to play as children and yes, some great ghost stories were told about "the tower". Please return to the subject of your garden as often as possible! What a beautiful garden. The tower provides a perfect focal point for the garden, and it sounds like it was also a wonderful little retreat. It is sad to know that it no longer being maintained as it once was. I look forward to hearing more about the garden in future posts! In one of your comments, you said it was better to have the garden destroyed than tampered with..or badly reinterpreted (I'm paraphrasing.) I've given my heart to every place we've lived and only wish to revisit in memories. Your curiosity is boundless and I think your tower and garden have been rebuilt many times over. The little painting in your previous post is quite charming, we like to think of it glowing in your drawing room in Budapest. It is so beautiful! Yellow and blue may be favorite combination of colors. I am in love with the vision of the dinner parties and the 'sad stories of the death of kings'. And now I know what a rill is--I love having a new word. But how sad that it has been neglected. Please do return to the subject of your garden! We are so pleased that you found the advice about your fig tree to be helpful. Let us hope that it will work!! We made the garden over a twenty-five year period and added The Tower about six or seven years before we left. But in that time we made full use of it and it was, as you may imagine, great fun. Perhaps, when all your other work is done, you may embark on your own tower or folly for the garden. We do hope so as, in our experience, such projects bring with them the greatest of fun. One does learn in life, a view we are certain that you share, that so many things seldom stay the same for long. We enjoyed the garden, and The Tower, enormously whilst we had them but do not, for one moment, regret that this is no longer so. Indeed, we have new things now with which to amuse ourselves!! We are so pleased that you found the post of interest and do appreciate your commenting. Thank you. It was, as we said, reading Montaigne that prompted this post about The Tower and which then brought back so very many memories of days, and dinners(! ), long gone. It was looking back, as you say, all quite romantic. At the time it was simply an idea that took root and grew. But it gave us enormous fun, and many, many memories. But, Helen, to have had your own Martello Tower, how romantic is that? And what a place in which to explore and invent as a child, and most likely as an adult too. How we should have loved it all. We are delighted that you are reading Saul Frampton's book about Montaigne and enjoying it. It was, as we wrote, a gift which has given us enormous pleasure. We could not agree more with what you say here. Gardens are, indeed, very personal but they are for the most part transient things. The important point, which you make, is that they are made for one's own delight and pleasure at a certain time and when that time passes, so be it. We have never been back. That is such a very generous remark and one which is much appreciated. We will, but not so much, nor so often, as to bore people! You are absolutely right for The Tower did become a retreat, away from the many garden visitors who were always delightful but who, at the times when the garden was open, took it over in the nicest possible way. It was at its best at sunset on a summer's evening when the whole building was reflected in the rill. That was, indeed, magical. Strangely, we were relieved to learn that the entire garden, of over two acres, had been bulldozed by the new owners for in that way, oddly, its integrity could never be lost. It was, as you may imagine, a very personal project lasting over twenty-five years but, of course, the memories remain. It was, as you may imagine, the greatest of fun at the time and through the garden we met and enjoyed the company of so many wonderful people. But we do not regret that we no longer have it. We have moved on, but with our memories! Yes, we do so agree with you, that blue and yellow work so well together and are a very effective combination. In a small garden on one side of the approach to The Tower, which we named Indigo Yard after a favourite Edinburgh restaurant, we kept to a colour scheme of the darkest possible blue with accents of orange. That too worked very well! Thank you so much for your comment which is much appreciated. "Gardens are, indeed, very personal but they are for the most part transient things. The important point, which you make, is that they are made for one's own delight and pleasure at a certain time and when that time passes, so be it. We have never been back." Your reply above to Andrew is perfect advice for me! A few weeks ago I drove by my old home and was dismayed at what had been done to my front yard. My wonderful beloved tree lay in pieces on the ground, there were huge holes in the ground where a favorite cactus had been and weeds, weeds were everywhere. I cried all the way home which made driving a challenge. I cannot imagine having your beautiful garden destroyed! But the grace and attitude with which you look at life changes is a lesson I need to learn. Thank you for sharing! How very kind and generous. We are delighted that you have enjoyed sharing this piece of our wild imaginations. We have always made a point of not returning to things in the past....reunions, houses we have left, places where we stayed....since they are never the same. We should rather keep alive the memory of these things in our imaginations rather than visit the new reality which is very often just a shadow of its former self! Try not to be upset about your old garden, Michele, enjoy what you have now. I love your description of your old garden. It reminded me of those dreams you have of the past where wisps of memory remain and everything still seem present and real. I once had a beautiful cottage garden with 'a Magic Apple Tree'. It broke my heart to leave it. However, talking to my daugher, I found out that her earliest memory is of looking up into its leaves to the sky.I now feel happy that my beautiful garden has made memories, not just for me, but for those I love. I'm sure it is the case with your tower and rill, how lucky your guests were! It is not easy to leave behind anything which one has worked so hard to create, but change is an inevitable part of life and learning to cope with life's changes is, perhaps, one of the biggest lessons we all have to learn. But, how wonderful that your daughter shares such special memories of your old apple tree. It is in these ways that the past lives on! Dear Jane and Lance, your tower is wonderful! How fantastic to have your own tower. A very tastful ensemble. To me it is not only interesting in its geometrical and aestethic appeal, in the interplay of garden, architecture and colours but even its symbology- yew, tower etc.- is congruent and profound! Thank you so much. Yew does, we believe, make the very best of hedges and although slow growing will, if well fed, put on at least 1ft/30cm growth in each year. So very kind and generous, thank you. Your considered comment is very much appreciated. If ever you have the chance to visit Rousham in Oxfordshire, the serpentine rill there is absolutely lovely! Just to say thank you so much for your kind compliment and for giving an important life lesson in such a wonderful way. Wishing you sunnier skies than we have today. Sunny skies here in between thunderstorms which bring hailstones. Summer has arrived with a bang!! An evocative post and thank you for sharing it. Better to have loved and lost than never to have loved at all. A small world as I was based nearby and knew the Stagg Inn. It seems that everything we create, fight-for, love and hold dear is constantly under threat by delinquents lurking in the wings. Your very sad story could be a metaphor for what is happening in Britain today. How wonderful, though, that you still have the images and the memories of the way things were. Am I right in thinking that these have been published? Somehow, the power of the printed, or in this case the cyber message, may be the only legacy we may hope to pass-on. Your words, at least, have enabled me to conjure an image of flickering candles bobbing in an inky-black, balmy summer night filled with the scents from all those plants. I can almost hear twinkly voices and sprinkling water. A small world indeed. It never ceases to amaze us how connections can be revived through Cyberspace. And, yes, love lost was still a love at one time and we are the richer for it. The garden was indeed featured in a number of gardening books and magazines. The plants in the garden formed the basis of the gardening books which we wrote. Your own words conjure up for us the most wonderful sights and sounds of those warm summer evenings spent under the Tower. Just one thing mssing, the occasional scream and splash of someone missing their footing in the Rill!! It is greater pictures and a wonderful garden scenes. I love this garden and the tower. What fun times you must have enjoyed there. Thank you so much for your kind words. We are so pleased that you like the Tower, one of our favourite parts of the garden. Now I've done your post justice, and read it properly, I realise that the yellow building in the background of your first picture IS The Tower. For some reason in my first but flippant reading I was confused and thnking that your water jet WAS the tower. Now, the blur has cleared! It will be very nice to see other pictures of your garden. I suppose knowing that it has not prospered since you left it, I can understand your wish to see it destroyed. But perhaps one day someone else may revive it, who knows? What a shame that it has not been cherished since your departure. I love towers and follies and other such fanciful and delicious things. We shall, most probaby revisit, if only virtually, the garden in a future post. We are so pleased that your first look has enticed you to see more. Should a garden be restored in this location, then we feel it is bound to be a different interpretation. And that is how it should be in our view. We too love follies and feel that they add a dramatic touch to any place in which they are found. It is also a wonderful feeling to be able to get high up in a garden and observe it from above. The Vines are not even planted prettily! We can only hope that the wine is half decent. Sometimes there is a haunting beauty in things left to time. It reminds us that the earth isn't really ours and she will reclaim what is hers. Yes, we can so easily identify with this most powerful statement. We are but custodians for a while, and it is a responsibilty which becomes more serious with each generation. The yellow color of your tower is just right (of course). Not too lemony, not to buttery. And there's nothing like a rill to evoke a bit of Persia. Would love to see more! We chose the colour particularly because of so many buildings painted a similar colour in Hungary. We are so pleased that you like it. A touch of Persia....we are flattered! Really an enchanting post. I also agree that our past lives forever in our minds and hearts. And that's why, when I move to a new house, I never come to see the former one. Yes, we do so agree. Far beter to hold the memory in one's mind than to see what it has become. I didn't come here to cry, Hattatts! I want an invitation to eat dinner on the underside of that tower with all the bloggers and you two! Next tower we build, be assured you will be at the very top of the guest list. But meanwhile, can we have the casserole now? Summer dinner parties, tower, rill, water jet, kitchen gardens... sounds like the good life to me! They were indeed fun times. Happily the good life continues, now transferred to Brighton and Budapest. I would have guessed that your garden wouldn't be ordinary and of course it wasn't, it looks very special and unique. I would have loved to have seen it and was staggered to learn it has been destroyed by the current owners, such a stupid and short sighted act. Your dinner guests must treasure the memories of those magical dinner parties, I know I would. Your attitude to what has happened to the garden is a lesson for all in letting go and moving on to the next adventure! Though I do still hope you will allow us further glimpses into the garden whenever the mood takes you. How very kind and generous your comments always are. We do so appreciate them. Yes, the dinner parties were such fun although they were not without mishap. Insects grilled in the candle flames, occasional unintentional baths in the rill and errant breezes plunging the whole scene into darkness. But the fun, the gossip and the laughter....the food was almost an afterthought! Sorry I'm late for this post Jane and Lance but, better late than never. Oh what a wonderful job you did in your cottage garden in Herefordshire. It was stunning and I can only guess at how devastated you must feel, knowing that who ever became the new trustees of your old home, have totally neglected it. I can see why you are friend's with Edith....you have so much in common. I hope that she is well....please remember me to her when you speak, won't you. Anyway, I digress......I can just imagine the wonderful times that were spent in that stunning garden, alone or with friend's. We are always so pleased to see a comment from you whenever it appears. Thank you. We will most certainly pass on your good wishes to Edith. As you say, we have much in common, particularly with refernce to all things horticultural. When it was just the two of us, we rarely took the time to sit and enjoy the garden as there always seemed so much to do. However, al fresco entertaining enabled us to not think about the work and simply to have fun! The sad thing, and maybe one of the most alluring things about gardens is that they are so ephemeral. Unlike many art forms it takes the constant care of the 'artist' to maintain. But my, oh my this is a tragic loss. I hope that you will continue to share pictures of what you created, it is beyond beautiful. What you say is so true. Gardens are very ephemeral but, one hopes, there are always new people with new ideas who will, for whatever period of time, make their mark. Thank you so much, Adrienne, for such a generous, kind and thoughtful comment. It is very much appreciated. Greetings Jane and Lance; How very sad that something so unique and pleasing to the eye is sadly neglected and dismantled by another. I would of been thrilled to have purchase a property with something so remarkable. Sadly it would break my heart; therefor I try to never look back although hard to do. Yes please do share more garden stories. Always best never to look back, we do so agree. In that way, 'golden days' remain for ever so. We do hope that you will be free to move soon and start your new adventure in another country, never to return we are sure. Thank you for your kind and generous comment which we appreciate very much. We are delighted to welcome you as a Follower and thank you so much for your kind comment. We love your blog and could not resist following someone who 'likes people who smile when it is raining'. It is, as you say, very strange that in so many cases old buildings are just abandoned for no apparent reason. Thank you so much, Diane, for becoming a Follower; we are delighted to have discovered your blog and will much look forward to future posts. What an interesting post! The Tower looked as if it had been there before the garden, so perfectly does it seem to fit in with the rill, fountain and planting. How wonderful to have planned and planted a garden like that. So sad and unbelievable really that the new owners could have destroyed such a magical garden. Thankyou for visiting my blog and for your comments - cerise pink does pack a punch in a border! The lychnis coronaria is flowering now in my garden, such a powerful colour and a plant which I have heard some people say is hard to place successfully in a garden. But i love it with its silvery foliage and intense dark pink flowers. We do indeed find it difficult to believe that something which took us twenty-five years to create from a two acre field should be razed to the ground in so many days. But that, of course, is life! Lychnis coronaria we also grew, and in the white form, and always felt that that shade of pink worked so well amongst silvers but was, with us, fairly short lived. But it made up for that by gently seeding around. this place you have made, both in time, in mortar, in text so literally in space, is a gift and with almost no exception all i ever have to offer in return is feel "thank you". what you do here, what this garden of earthly delights bears witness to , what it would seem you have done everywhere is to pour out heaven as you go along. We are most touched by the generosity and thoughtfulness of your comment which is so much appreciated and highly valued. Thank you so much, Tracy, for taking the time and trouble to say all of this. It means a great deal. Yes, it's me yet again. Just to say that Tracy is one of those precious gifts to me as you both are. She means exactly what she says. And says it far more beautifully than what many could aspire to! I agree whole heartedly with her thoughts. "Pour out heaven as you go along" is one worth ruminating over. We have made two pilgrimages to Montaine's tower. The first time we were just handed the key. On the second visit, a few years ago, we had to join a guided tour. Hello, my only one followers, I love gardens and i discover that you are the expert on the subject...I like the lavander, roses, Arabian jasmine from Spain,and my favorites Orchids hope one day you want to write about this flowers. I think you were really lucky to live in the country of England and create gorgeous gardens. We are blessed indeed to have both Tracy's beautiful comment and a sensitive comment from you in the space of one evening. We feel it to be a great privilege to have 'met' you both and look forward to going along happily together. We will!! We will!! We promise!!! Gardens really do allow one to make fantasy become reality. Make this the year of your rill! 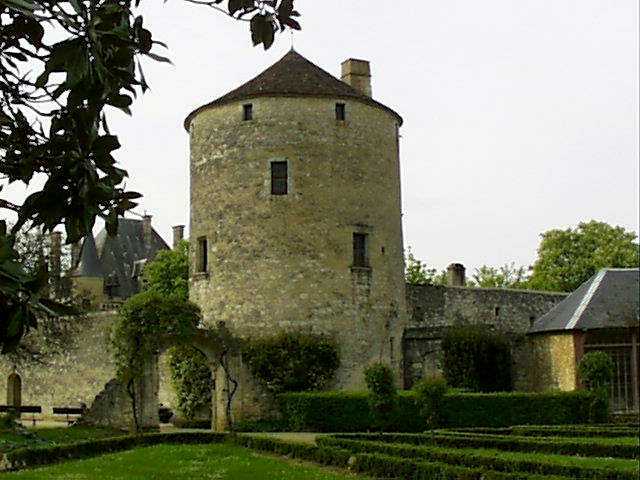 How wonderful to have had freedom to roam over Montaigne's tower. Not quite the same with a tour guide, but we should still wish to see it. The garden was a major part of our lives which, at the time, we enjoyed enormously and believe it was a great privilege to have had the opportunity to do as we did. The English climate is especially good, of course, for making gardens. It has been a delight getting to know you through your postings, and I have so appreciated your kind comments left on my blog. There is no real garden here at the lake cottage, but we are in the heart of nature. And the old place is full of memories. From the cold deep glacial lake, the ancient oaks from the time of the Seneca Indians, th eold croquet court, my 86 year old mother napping in the next room, and the return of our dear stray kitty from last summer. A little piece of heaven for a few months. Jane and Lance: I am so happy to have discovered your charming blog and look forward to time spent investigating and just plain digging around in your garden of ideas. Thank you once again for discovering me recently. Have you seen the recent blog post on the new book on Montaigne by Sarah Bakewell - by Roberta Rood over at her blog, BOOKS TO THE CEILING? A blog, by the way, which if you're not already familiar with, I suspect you might find wonderful. Jane and Lance, your tower is what fairy tales are made of. Your story of fun dinner parties, walking from the tower to the house with candles to light the way is enchanting. 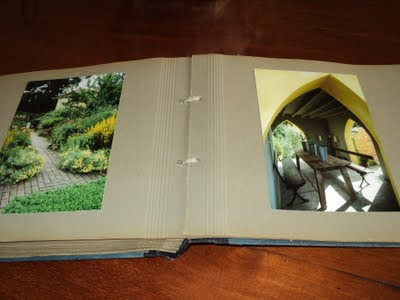 How wonderful you have your photo book to keep the memories alive. I am so happy to meet you, and now I've discovered your blog and look forward to visiting you often. Thank You for visiting and leaving a comment. I'm your latest follower. Dearest Jane & Lance...My mouth and jaw dropped wide open (really) when I enlarged your first image, Your garden and it's glorious tower were breathtaking! Then, to read of it's demise, was truly heartbreaking. How could that ever have been dismantled? At least you were able to enjoy it for a season...to bad we can't pack them up and take them with us when we leave....I suppose we do in our hearts and memories though, don't we?! The description of where you are sounds absolutely perfect. After all, at the end of the day, Nature arranges things rather better than we are ever able to. We are certain that you will have the loveliest of times over the coming months, and we are delighted to learn that 'Kitty' has reappeared. We are so pleased to welcome you as a Follower.We toohave been delighted with the contents of your most erudite blog. 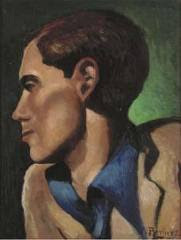 And, thank you for the recommendaton of Roberta Rood whose blog we are certain will prove to be fascinating. We look forward to developing our mutual dialogue in future posts. Linda, you are always so very generous and kind. We have been very touched by your comment. Words like yours really do make the task of living with the knowledge that one's work of 25 years has been destroyed so much easier. Agapanthus really do make a fantstic 'show' in the summer months, we do so agree. And, although we have never been to Madeira, we understand that the flowers there are absolutely wonderful. Take great care of yourself, Linda. You are always concerned for others but you must also give youself some much needed TLC whilst you recover. Your very kind and generous comment is so much appreciated and we are delighted to welcome you as a Follower. We did, indeed, have great fun making the garden over twenty-five years and the times spent with friends there we remember with great joy and affection. But nothing lasts for ever and we do, as you say, have the memories. We are so pleased to have 'met' with you and will look forward to the sharing of ideas in the future. You are so right, dear Jessica, when you say that whilst we cannot 'pack up' our memories,in so many ways we do and they cannot be taken from us. The garden was a wonderful part of our lives over a long 'season' but nothing remains for all time and now we have new interests and challenges to look forward to. But that does not prevent our having our own thoughts about the new owners!!! Absolutely delicious. Would have loved to hear the stories! Ah, but that would be telling!! Thank you so much for the comment -it is much appreciated. Such a beautiful garden - how could you bear to leave it! You are right - it is better that it's destroyed than meddled with. Sad though. Although we still miss the garden, we never miss the work which, at times, was crippling. Agapanthus always did better for us in pots as they did not like the water-retentive Herefordshire clay. We are pleased that you are a fan too. There are so many wonderful varieties and now we have a penchant for white flowered ones. Linda, thank you so much for taking the time to reply. We really do enjoy your posts and reading of some of the many imaginative and creative things with which you fill your life and which you so generously share with us all. Now are suitcases to be the new arms race?!! I rarely go back to where I've lived and once I'm forced to leave Thistle Cove Farm, I'll return only in memory. The tower looked charming; how is it some folks have vision while others haven't even sight? We totally understand your feelings about Thistle Cove Farm and, in your place, would have no wish to return if ever the decision to leave is made. Enjoy its beauty now and keep it safe in your mind for ever. And, how well you express our feelings about the new owners of our Tower. We shall cherish this phrase! I hope you will return to the subject of your garden soon! I would love to know how it looked like. This post about your private tower only makes me more curious. Wish you a lovely pentecost weekend! We gardened at The Arrow Cottage for 25 years and the garden occupied some 2 acres of land in rural Herefordshire, it was, of course, very difficult to leave but we often think now of the work involved and are glad that we no longer have the responsibility. The garden lives on in our hearts and minds but, as we are sure you will understand, we have no wish at all to actually see for ourselves what we are told has become of it all. The Tower was a very romantic place and was kept warm in Autumn and Winter by an antique French stove. It was the perfect escape from the cares of the real world and enabled us to live our own 'fantasy'. Now we manage to continue to do just that but without a Tower!! Wishing you a very happy and relaxing pentecostal weekend too! how very sad to care about something so much and then to see how others can care so little about it. the photos are so beautiful though. I'm still away - in Edith Wharton's old house tonight. But have to say that I think you two are such utterly special people, you are on my list of fantasy dinner party guests. I really hope to meet up with you sometime for cocktails though I feel I may have to go to finishing school first. Please tell all of us some day - how did you find each other? One does, as we are sure you will agree, Amy, have to learn in life to let go and to move on. It is always a wrench at the time, but then there is always something new just around the next corner. Thank you so much for your comment. We shall look forward to visiting your blog just as soon as Blogger is behaving itself once more! Please, dear Tabitha, let it not be a fantasy dinner party but the real thing, when there will be so much to say and such fun to be had. In the meantime, Edith Wharton's old house which must, surely, be the Castel Sainte-Claire at Hyeres [no grave accent as we cannot do one]!! How absolutely marvellous and so very stylish. Have a wonderful time. We have been missing your posts hugely. I now believe I need a tower... yes I am most certain I must have a tower. Think of the wonderful hours I could spend pondering and the impossible things I could dream about in my own quaint tower. You have planted the seed. We are firmly of the opinion that everyone should have a tower, an essential ingredient for modern day living! We can easily imagine what fun you would have in yours and would urge you to start planning and building straight away. We are delighted to welcome you as a Follower and look forward to keeping in touch through our blogs. We are so pleased that our paths have crossed. Of all the superb comments, I am drawn toward the idea commented back to Suze, Jane & Lance, of all of us someday having the opportunity to gather and sit around a warm stove or open fire and tell our "sad stories of the death of kings" or some such thing! Your garden sounds heavenly! We do so hope that in your busy,working lives that you too have times when you are able to pause and reflect and tell your own stories. Perhaps at Freshwater Resort? When indeed is the 'tipping point'? We have often pondered on this in relation to all manner of things, particularly old houses. We can well imagine the joys and sorrows of the project you once took on. In the case of our garden it was, we are told, razed to the ground within a matter of weeks to plant vines. Looking at it via Google Earth it appeared to be a complete scorched earth policy! Just let us know the port of arrival and we shall be on the dockside waving our banners. And from then on, we shall have such huge fun. Forget the casserole for now, and keep it for when we come to you! Most of the joy of the things we create lies in the act of their creation. May you enjoy many more such creative endeavours! How true this is. 'The joy is in the journey rather than in the arriving' is a phrase we often use! Dear Jane & Lance. As the rain lashes against the windows of my garret how cozy to read of your beautiful garden and a Tower! So many items to comment on but the picture I have in my mind of your parties (I am known as a Party Girl) have me sighing with longing, and I dream of such a party wearing my vintage green dress and floating about (not literally, though I now have a vision of me as Millais' Ophelia in the rill), as in an Isadora Duncan dancing sort of float. Then I hear you discussed the sad stories of the deaths of Kings and got such a shiver. I am currently reading an English history book that is actually titled The Death of Kings! Finally, in your last comment, you use a phrase very like a favourite quote of mine from Robert Louis Stevenson! That is only a start on what I wanted to say. I have a good mind, on my next trip home to London, to take a train down to Brighton, walk to Artisan and sit drinking tea or coffee until you show up! I think I should know you at once. I feel the same about not "going back" to leave things as they are in my memory. I have never gone back to a single London pub where I was The Landlady. I couldn't bear it. Your comments on my Ciao Post are much appreciated, and I am very touched by what you said. Oh how we should love to meet up with you in Artisan or anywhere else for that matter as we are sure that we should have many tales to tell each other. Yes, we do think it best not to go back and have never been ones for reunions or anything similar. Move on as there will always be another party to go to. By the way, your green dress sounds wonderful and made us think instantly of Keira Knightley in 'Atonement'!!! We were so sad to read of your 'last post' when we felt that we had only just become acquainted. But are pleased to see that we are continuing to meet on these pages and we trust that your course is going well. I would love to meet up with you and shall let you know when I am next over in London, just in case our dates coincide. How fun! Yes, it is Keira Knightley-ish sort of dress from Atonement. How I love that film. That must be a date. Only recently we met up with another Blogger friend here in Budapest who was travelling through this part of Europe. She came to lunch and we had a splendid time, as we know we shall! We too loved the film 'Atonement' and, as it happens, long story, know the house, Stokesay Court in Shropshire, where it was filmed quite well. How delighted we are that you are really enjoying the course. Good news indeed!! This is utterly charming!!! Very fairytale!!! In my mind, your garden was gone but, suddenly, here it is. Please, please, please do post more about it or.... have you already and I missed it? You know, I've been thinking that I should start at the beginning of this blog and should catch up on what I've missed. Perhaps, actually, that would be a pleasant thing to do in the winter-time. At the moment, it feels like we only have days left to enjoy our tiny garden before the frost comes. Actually, I genuinely feel like I want to add this into my 'Cotswolds Gardens' book! It doesn't matter about locale - it fits right in!!! Dearest Katy, how wonderful to find you here! Yes, this is what our garden looked like, but no more. The new owners could not cope and sold pretty much immediately. The current owners have bulldozed EVERYTHING except the Tower which remains in a barren landscape all boarded up. Well, this all goes to prove, if any were needed, that gardens belong to their owners in their own time. So, enjoy, enjoy your own whilst you can! you need an eccentric grandfather clock!!! Of course, Katy, it is a most enchanting and engaging book and one which, in our view, should not be restricted to children. Indeed, we should all make it required adult reading!! Alas, we do not have a grandfather clock, eccentric or otherwise!